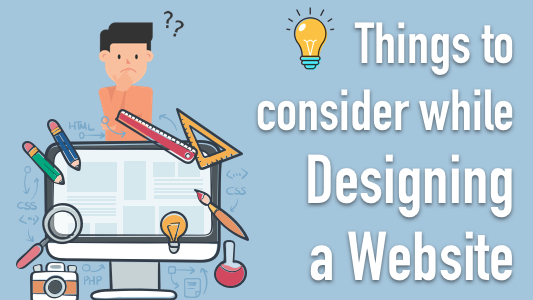 Most web designers start creating websites without having a definite plan. Their sole intention is to create websites one after another and hand them over to respective clients. Apart from the appearance, there are a lot of things that should be kept in mind while creating websites. To create a brand-new website or renovate it, a good amount of high-quality material is needed. Most web developers just copy the provided content and upload it on websites. They don’t check its uniqueness and useful in advanced. The use of low-quality or copied content for website development gives birth to legal problems related to copyright issues. Search engines can backlist your website for using low-quality materials. Always use unique and useful content for website content. Don’t do the copy-paste job for creating fresh content to be used for website creation. Always get the work done by a professional content developer. UX-design stands for friendly website design which greatly facilitates the perception and understanding of the content. Visual information (titles and captions) and content (text and graphic) should be obvious and understandable. Users have nothing to do with the features of your site. They just need to find the desired info, products, and services in the smallest possible time and make transactions. So, take care of the UX design elements when you start the process of website development. The uniqueness of the site design and content is considered by search engines. Implement simplicity in website design, but make sure your site is not boring. Site navigation and its structure is another vital aspect of web design. Illogical and obstructed navigation, errors in website meu, and ineffective interlinking increase the bounce rate up to a great extent. Your website should have a clear and straightforward navigation so that you can easily find the right information and move from one place to another. Build a complex (multi-level) structure with nested links and organize access to content in maximum 3 clicks from the main page. People expect websites to be loaded on their devices as soon as possible. They will not wait for your website if it loads slowly. In fact, modern Internet users are highly impatient. They will leave slow loading websites and browse similar sites that load fast. Search engines also prefer fast loading websites because they want user satisfaction with the search results, they display in their SERPs. So, take all possible measures to make your website faster. It will help you in website optimization and accelerate the pace of lead generation. It is always easy to find almost any information on the Internet. Always keep in mind that Making things act and look as close as possible to their physical counterparts is a trend in development and technology. While creating a website, it is important to take a realistic approach to create CTA buttons and evoke visitor emotions necessarily. These days, the competition in the web-based business in higher. So, all well-known brands and companies always strive to get as many visitors as possible through smart web design. Create and place appropriate CTA buttons on your website to encourage visitors to take the desired actions. The trend associated with simplicity and minimalism is becoming increasingly dominant in web design as it determines the success or failure of a website. Websites are developed for users, not for company owners and CEOs. So, keeping web pages simple is profitable as they less development time, are easy to reconstruct, consume fewer resources and accommodate the load of heavy traffic. A simple web design is less buggy when running on different platforms and in different browsers. 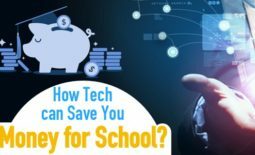 It can be accessed easily accessible from anywhere on all devices. You should design the homepage of your website in such a way that customers could easily understand who you are and what your business activities are. You can advertise yourself or your brand on the homepage. The customer seeks accurate information on websites. Show your differences from other brands and guarantee what you can provide to customers. Place a positive Feedback on the homepage of your website, given by neutral people. It will create a positive impact on new visitors of your website and they will love to deal with your brand frequently. The color pattern on your website should not be too complicated. 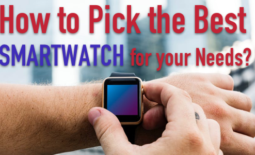 The use of several catchy colors may make your website look unprofessional. Use website colors carefully as different colors cause different emotions. Using a light background, you can improve the readability of the text. If you place information over the background, use cream shades or a white background are used. It is extremely important to limit the color palette of a website to maximum 3 colors and make the logo as simple as possible. Successful sites illustrate the main ideas with graphic content and help users easily find what they are looking for. So, the associative perception of the site by the user is associated with color perception and depends on the entire design. Keep these factors in mind while creating websites as it will enable you to make amazing websites easily and effortlessly. Stephen Chong works as a writer for Fonbell Solution, an IT firm offering web-based services such as Website Designing In Singapore, Online Appointment System based in Singapore. He would love to share the experience, knowledge, and thoughts with others on the web. 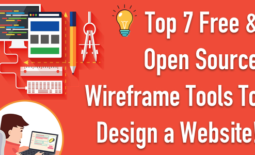 Best Certificates to Earn Online	Top 7 Free And Open Source Wireframe Tools To Design A Website!